In the spirit of expanding my blog horizons (see #1), I am linking up for FIVE on Friday! ONE | I attended my first blogger meet up a couple of weeks ago. These ladies got together as the NC portion of Southern Blog Society, and Ryann invited me to join them. She and I have been in contact for a little while, and I was so excited to finally meet her! I was thrilled to see Emily again, too! 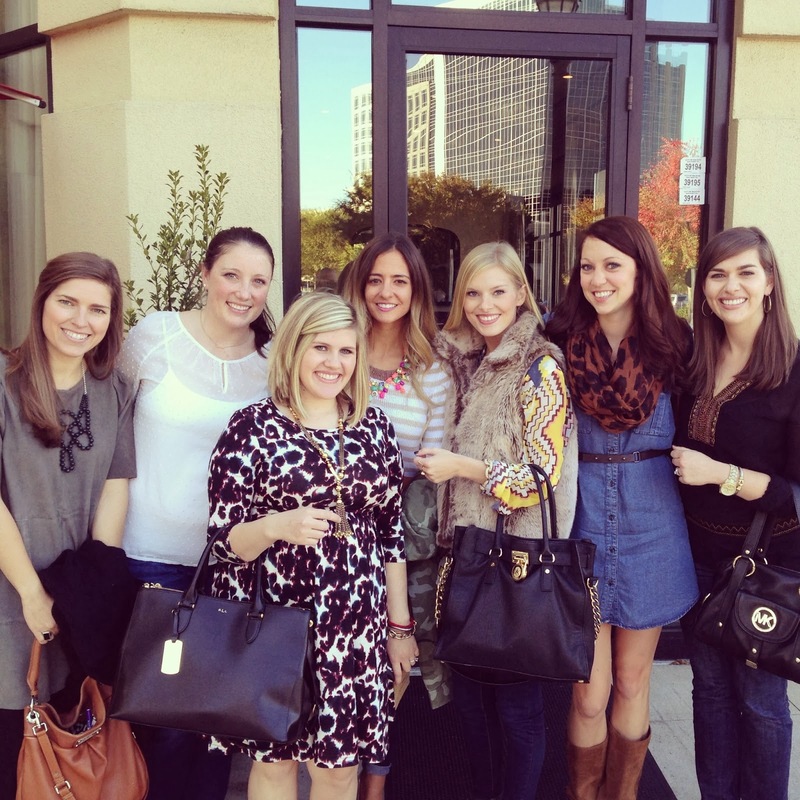 The rest of the ladies were new to me, and I've enjoyed checking out their blogs since then. I purchased my Joie dress from Second Time Around while in NYC, and I made my necklace based on these instructions from Martha Stewart. My bag is the Marc by Marc Jacobs Classic Q Hillier hobo. TWO | I look forward to reuniting with a few of my friends from graduate school this weekend. We are planning to tailgate then head to the football game. I'm still thinking about what I want to make for us to eat and drink, but so far I've got sausage balls, fruit, brownies, and maybe a punch in mind. Any favorite tailgating recipes? THREE | There is still time left to pack an Operation Christmas Child box! Check out the Samaritan's Purse website to find a drop off location near you. FOUR | I have heard about She Reads Truth before, but I never checked out their devotions until I saw Jamie mention their Thanksgiving plan from last year. They are starting a new Thanksgiving series on Monday, and I'm looking forward to it. If you need a daily devotion before Advent or wonder what I'm talking about at all, check it out. FIVE | Speaking of Thanksgiving, maybe you have planned out your menu already (or maybe you're like me and your uncle cooks all of it), but what about breakfast?! Holidays are great times to have leisurely breakfasts with your family. 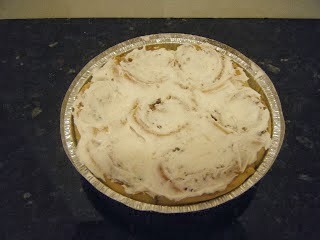 And I've got the perfect answer to what to eat for breakfast: my sister in law's cinnamon rolls. They are THE BEST cinnamon rolls you will ever put in your mouth. Big T listed them for $10 per pan, and they are worth $100. She is still taking orders, so hop to it!!! Find Stellar Sweets Raleigh on Facebook or email her at stellarsweetsraleigh [at] gmail [dot] com.